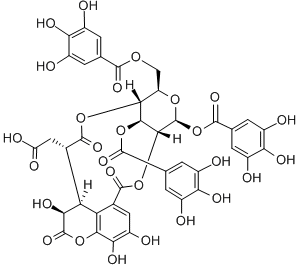 Halofuginone is a plant derivative that has been shown to inhibit Th17 differentiation, and recently tested as a potential immunosuppressant. Halofuginone is the competitively inhibitor of prolyl-tRNA synthetase with Ki of 18.3 nM. Kartogenin(KGN) is a small molecule stimulator of chondrogenesis; promotes chondrocyte differentiation(EC50=100 nM) and binds to filamin A.
SIS3 is a potent and selective inhibitor of Smad3. a potent regulator of the human Nox4 promoter. Pirfenidone leads to a reduction of TGF-β2 mRNA levels and of the mature TGF-β2 protein due to decreased expression and direct inhibition of the TGF-β pro-protein convertase furin. 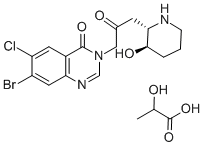 GW788388 is a potent and selective inhibitor of ALK5 with IC50 of 18 nM, also inhibits TGF-β type II receptor and activin type II receptor activities, but does not inhibit BMP type II receptor. SB-431542 is potent and selective inhibitor of the transforming growth factor-β (TGF-β) type I receptor activin receptor-like kinase ALK5 (IC50 = 94 nM) and its relatives ALK4 and ALK7.